This post will provide a list of defunct MLM Companies, shut down MLM Companies and out of business MLM Companies. No matter what it is in life’s journey, there are winners and losers. Whether it is a simple game between children, or a huge game of business between adults, there are always going to be those who walk away with smiles, and others with frowns. Here at the Online MLM Community, we do not like to focus on any negatives, but we also do not try to erase history. All of us can learn something from the losers. That may sound harsh, but reality can sometimes be harsh. I do hope that you were not a part of the losing teams I am about to write about, and if you were, I do hope you were able to pick yourself up, dust yourself off and keep running this endurance race called life. In the paragraphs below, I will provide a detailed list of defunct, shut down, and out of business MLM Companies. I will tell you a little about each company including their products or services, when and how long they were in business and why they didn’t make it. They are listed in no particular order. BurnLounge was a unique MLM company. It was founded in 2004 and shut down because of a Federal Trade Commission lawsuit in 2007. Burnlounge was an online music download MLM. Musicians paid a fee for the rights to sell their music on the site. A person could attract another musician to do the same, and would earn commissions from their fees and sales. It was determined that BurnLounge was a pyramid scheme. Troy Muhlestein founded the MLM company WakeUpNow in 2009. WakeUpNow offered a wide array of products and services that included Vacation Club, WUN Fit, WUN Protect (identity theft), Thunder (energy drink), Taxbot and many more. In 2015, WakeUpNow shut down. I recently wrote a post about this now defunct MLM company. Founded by Bill Gouldd in 1991, Equinox International had a wide variety of products such as water filters, vitamins and more. Equinox grew quickly, but fell apart when lawsuits came. In 2001, Equinox International was gone. In the early and mid 1980’s, United Sciences of America was a growing MLM started by Robert Adler II. The company was endorsed by some top names including William Shatner and sport’s stars Chris Evert and Gary Carter. USA manufactured and sold nutritional supplements, but their downfall was claiming these supplements could cure diseases. NBC confronted the MLM and soon lawsuits came. They were bankrupt in 1987. 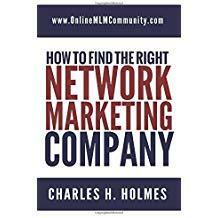 FHTM is a multi-level marketing company that I was briefly involved with. Actually, I invested what was then a large amount of money and saw no return. FHTM had many products in its showcase including mobile phone service, Dish network, hair care products and much more. But, the primary way that money was made by representatives was bringing in new reps. The sign up money they paid to join was making the company more than product sales, and this is why they were shut down for operating a pyramid scheme. They started in 2001 and shut down in 2013. If you visit the Mona Vie website, it will say Jeunesse at the top. It seems that Jeunesse has purchased the distributorship of the original Mona Vie. Mona Vie was founded in 2005 by Dallin Larsen and Henry Marsh. They manufactured and sold fruit juice concentrates, powder drinks and similar products. The issues came with health claims that were unsubstantiated. Lawsuits arose, and Mona Vie defaulted on a $1.8 Million loan. They went into foreclosure in 2015. Way back in 1964, William Penn Patrick was strolling in San Rafael, California and smelled a delicious scent coming from a garage. He examined the odor and discovered it was a cosmetics business that was selling out. Patrick bought it all and started a MLM called Holiday Magic. Holiday Magic used dirty tactics and was even sued by Avon. They made much of their money charging outlandish fees for training conferences. After much controversy about fraud and Ponzi like formats, Holiday Magic was shut down in 1974 soon after Patrick died in a plane crash. Michael Ellis was a former police officer and was also on probation for being involved in manufacturing methamphetamine. One of the primary ingredients in meth has been ephedrine, and Michael found a way to sell ephedrine legally for the time being. Using the weight loss approach, all the Metabolife products were ephedrine based. Because of adverse medical effects and the banning of ephedrine sales in many U.S. States, Metabolife was no more in 2006. The owners of PrimeBuy Network were Charles Michel and Charles Culver. They founded this online MLM in 1999. The idea was to create websites for independent representatives to sell wholesale products that PrimeBuy put their name on. All in all, PrimeBuy was making more money having people pay to join than they were selling products. There were complaints filed that this was a pyramid scheme and in 2001, everything was shut down. This Dallas based MLM sold nutritional supplements, but it seems there was a larger push to gain distributors. New prospects were told that they did not have to purchase products and there were no quotas to attain down line reps. The “fine print” stated something different. After paying anywhere from $600-$1300 dollars for a kit, the only way an independent representative could earn any commissions was to purchase at least $100 worth of products monthly and sign up at least 2 new distributors. The FTC didn’t look at this kindly. 2Extreme was considered a pyramid and was shut down. When electricity deregulation became a reality, this Pennsylvania based company jumped on the bandwagon. They allowed prospects to pay $295 and they could start selling their wholesale electricity. The State of California was one of the first to catch on that this company was collecting people’s money, but they had not even contacted a utilities company to purchase wholesale energy. It is hard to sell something you don’t have. It was a classic case of fraud. The idea was that you could have your “dream car,” and make money in the process. The system worked where you paid a yearly fee and approximately $100 per month. You would get the car and you had to bring other people into the fold to get their cars. The more you had, the more money you made, but when the Federal Trade Commission looked at this, it was shut down as a pyramid scam immediately. The operators are not allowed to play the MLM game for life now. Take a look at the case here. Multi Level Marketing companies start and fold on a consistent basis. Does that mean you should not “buy in: to MLM? I believe you just have to be cautious. You need to look at companies such as these and learn from them. We could say that people shouldn’t start restaurants because many of them close their doors too, but people still start dining establishments. The only true way to win is to take a chance. Here is a website that shows a huge list of defunct MLM companies. I instead want to give you some tips on choosing a good and safe MLM. When we look at the list of shut down MLM Companies, there is a prime common denominator. Many of them were hit with lawsuits and complaints of pyramid and Ponzi operations. In the majority of cases, both regulators and I would agree these were pyramid schemes. Yes, they sold a product or service, but their main priority was attaining distributors, and that is how they made the majority of their profits. The majority of profits for any MLM should come from product or service sales. If the profits generated are coming from independent representative’s pockets, it is probably a pyramid scheme structure. Notice that I said scheme after pyramid. Every organization works on a pyramid basis, so we cannot just say pyramid and consider it bad. It becomes bad when only people at the top of the structure can win. The winning opportunity needs to be throughout the structure. Check the length of time the MLM company has been in operation. If a MLM company has been in business five to eight years, they have shown they have a solid track record. Check BBB and other reviews. Not every review will be good, but you should be able to get a good picture. Check the prior MLM records of key people. When you look at the majority of MLM Companies that were shut down for fraud and illegal operations, the people running them have been involved in similar acts in the past. Too good to be true. Someone once said that common sense died in an auto accident, and I believe it in some cases. Case in point: I wrote about Five Star Auto Club. Do you really believe you can make money just by leasing your dream car? The people who “fell” for that were not using common sense at all (sorry if you were one, but facts are facts). Products before people. If the MLM Company you are considering pushes getting distributors over selling the products, I suggest you run the other way. Costs you money to get training. Except for the occasional seminar that charges a little for entrance fees, basic training for the MLM you are joining should be free. Mandatory product purchases. If a MLM company says you HAVE to buy their products to have a membership, that is wrong. Now, I do believe you should buy and use the products of the company you are involved with, but it should never be mandatory. Unreasonable medical claims. Many companies have been shut down because they said their product could cure a certain disease or ailment. Unless they have absolute proof and a statement from the FDA, I would not sign up with a company making these claims. Check financial statements. It is always wise to look at the company’s financial statements. Are they setting in good shape, or just riding on the edge? Check the records of money makers. Having an MLM business does mean work, and many will not do the work, but for the ones that are doing the work, are they receiving their just due? I mentioned it before and I will again…just use common sense. Trust me, my common sense was not working when I gave money to Fortune Hi Tech Marketing, but I did learn from that mistake. I am now involved with an honest and reputable MLM. I won’t mention the name here, but I will say that Charles is my mentor. Not all MLM Companies are created equal. Do your research first, and you can be on the road to MLM Success. What are your thoughts? Do you have any questions? You can post them below. Thank you for visiting. While we might disagree, I believe the skills we learn in this industry while building our business are very beneficial to success in life. Your granddaughter will learn about sales, marketing, leadership, communication and small business, which will help make her a better pharmacist. She might even do well with the business. The business is definitely not for everyone, but plenty of people in our industry do very, very well. If she has her parents support, that is great. My company recently went into dormancy in Asia citing global strategic plan as reason. I am very upset and dissappointed with them. My 20 years of hard work went down the drain. If I will to start all over again, can you recommend some sound companies now in Asia. Is there any in cryto, educational training or investments. This was really interesting reading Greg. I appreciate your candidness and honesty! I have been offered to join several of the companies you mentioned but they never felt right to me. Thanks for the information! You are very welcome. I am glad you did not get trapped with any of these companies. I am hoping this post greatly helps people research before jumping into any opportunity. This does not just mean network marketing, it can mean everything. There are scammers in many different things. But, if we do our research, we can protect ourselves, and if you do get caught in one, we cannot say they are all that way.